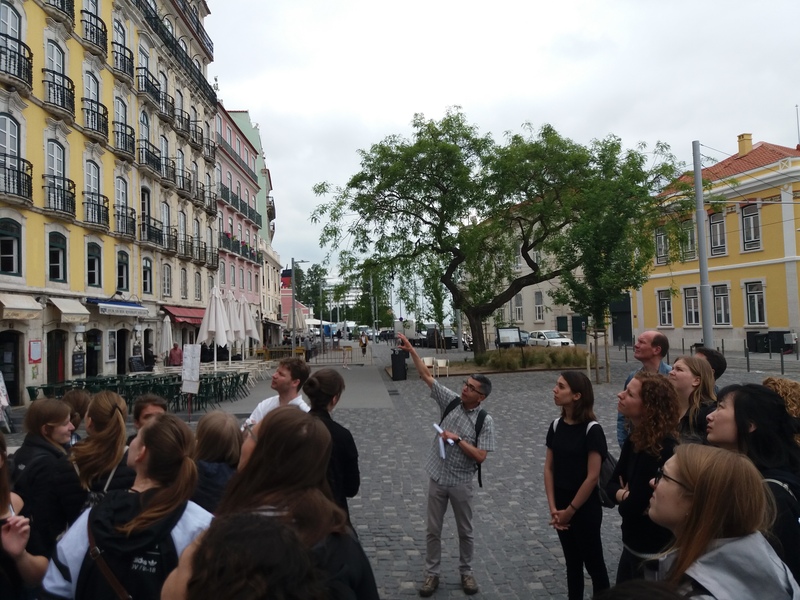 Last May 22th, a group of students from the Leibniz Universität Hannover (Institute für Entwerfen und Konsdtruieren/Fakultät für Architektur und Landschaft) visited Lisbon. 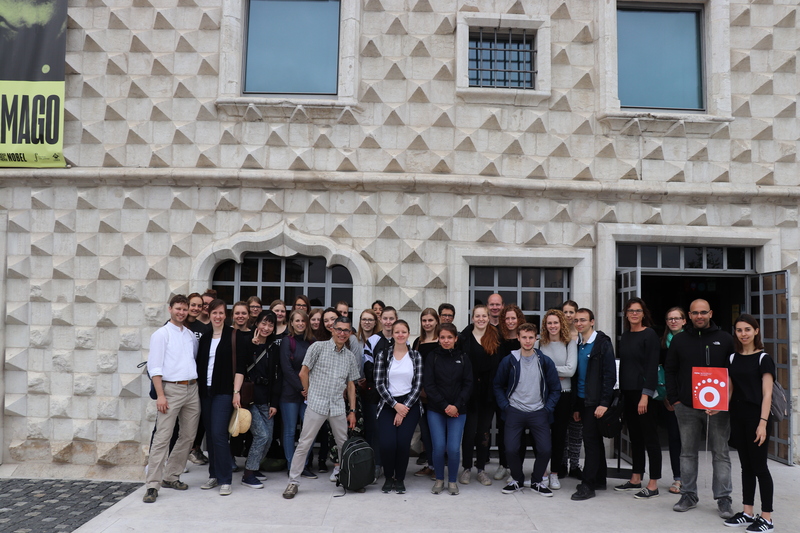 The local ROCK team received the enthusiastic group for a guided tour to the parish of Santa Maria Maior, conducted by António Miranda. This parish, whose territory matches with the historical center of Lisbon, is related to the ROCK Project in the dynamic center/periphery. In this route, the students visited monuments such as the Cathedral, the Roman Theatre, the “Casa dos Bicos”, a 16th-century building where the José Saramago (Nobel Prize for Literature in 1998) Foundation is installed, and "Baixa Pombalina", the downtown area reconstructed in the 18th century after the great earthquake of 1755.